3 Point Construction LTD can provide a professional and bespoke block paving service for the commercial, public and residential sector. All of our tradesmen hold a CSCS card and are fully insured. We are able to carry out projects to any scale, from a small block paved driveway to larger commercial projects like car-parks and pathways. 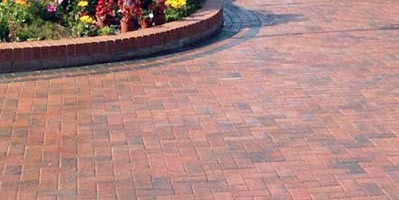 Our skilled experts will ensure that you are supplied with only the highest of standards and block paving that will endure the toughest of conditions or heaviest of traffic. All of our work comes fully guaranteed. Block Paving has many benefits, it's low maintenance, versatile, durable and is very visually appealing. We can follow your specifications, patterns and colours or we can design you the perfect block paving ourselves. From start to the finish of the project we will ensure that you are kept in the loop and any major decisions will always go through you first. 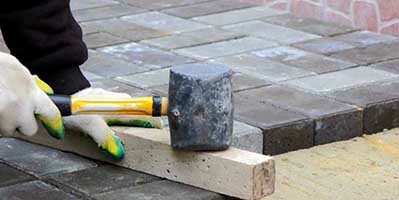 Get a quote for Block Paving. If your groundwork's project is not in the above mentioned areas please do not hesitate to contact us.